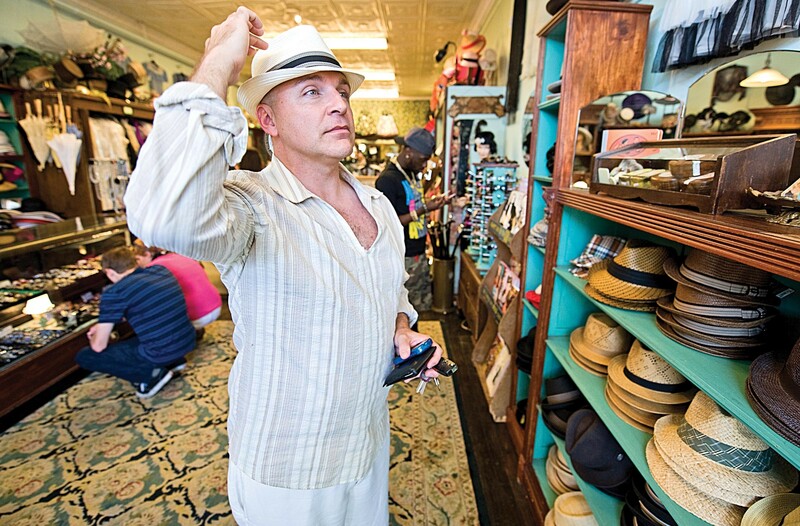 Local actor Matt Beyer hat shopping at Bygone's. While there are a few places in town for men’s vintage clothing, Bygone’s may be the best place to go. When buying a suit, what other store has clerks that ask not only for your measurements, but also what decade you’re looking for? The store carries sartorial goodies from the 1930s to the ’70s, including top hats and Eisenhower jackets. Whether going for the “Mad Men” look or trying to party like it’s 1929, Bygone’s friendly staff will make you look like a million bucks.